Practice estimation skills by determining whether the number of objects, the length of a line, or the area of a shape is more or less than the number given. Parameters: error tolerance of estimate. 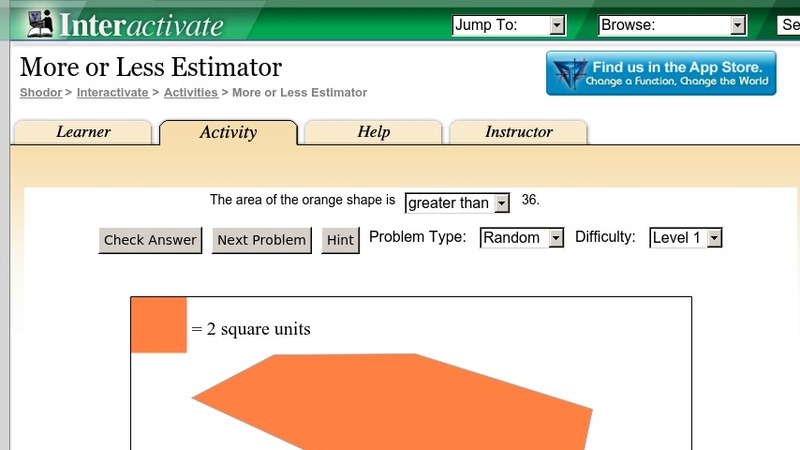 More or Less Estimator is one of the Interactivate assessment explorers.